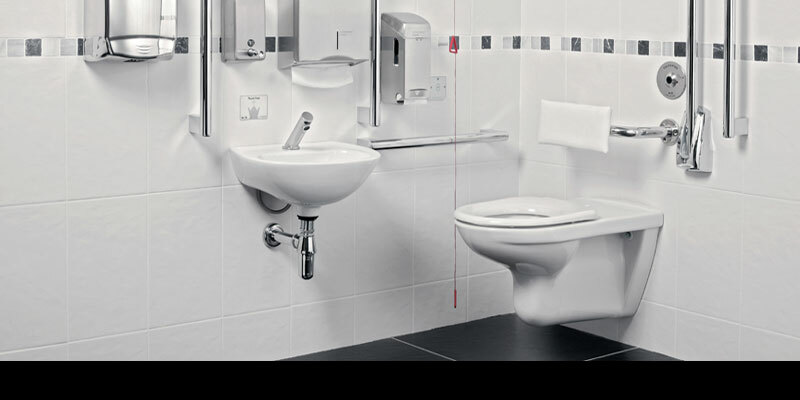 The Zero100 Economy Series offers a practical, cost effective and stylish solution where any Doc M pack is required without the stringent requirement for infection control as found in hospital environments. 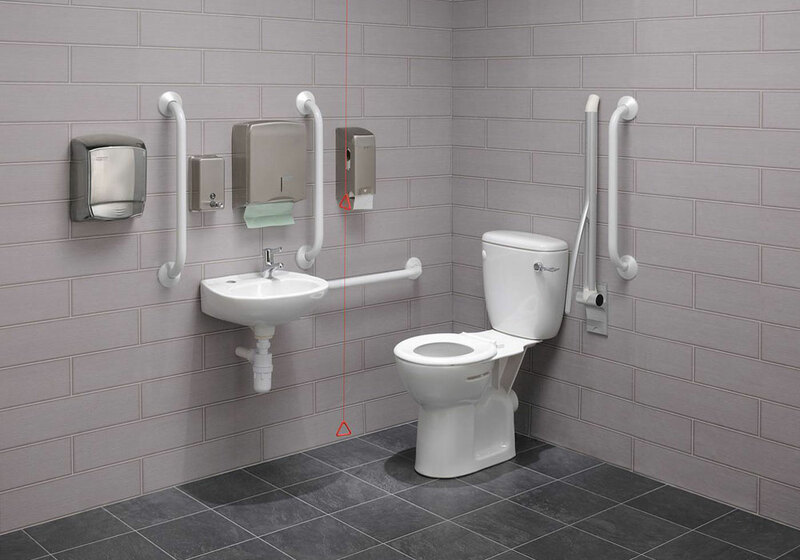 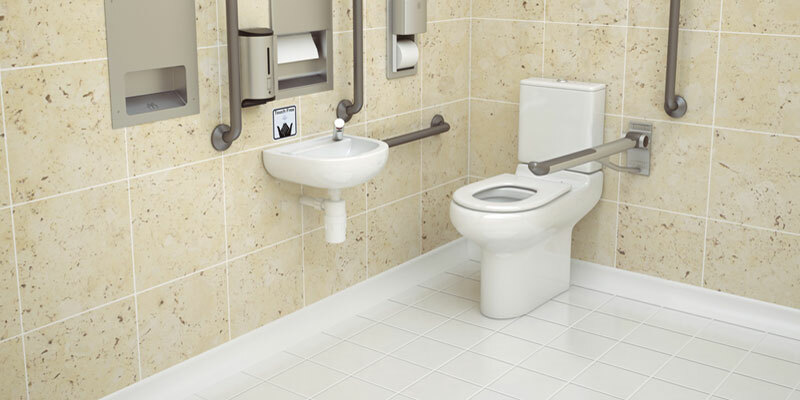 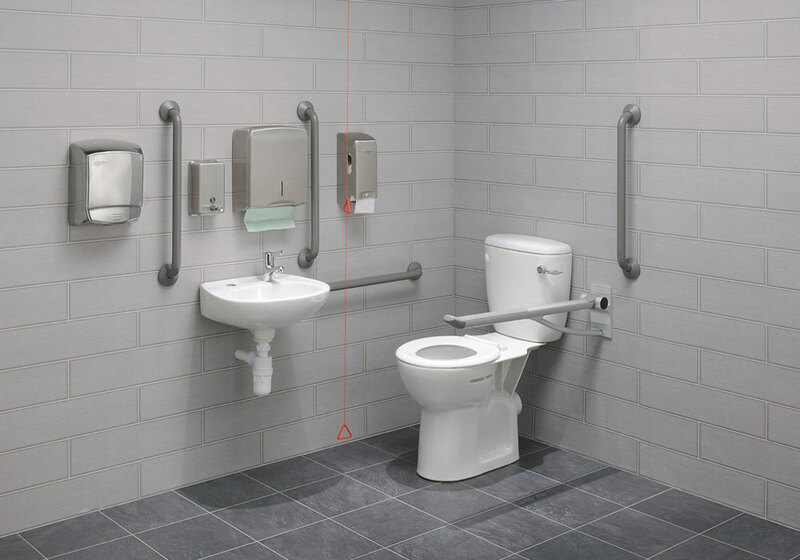 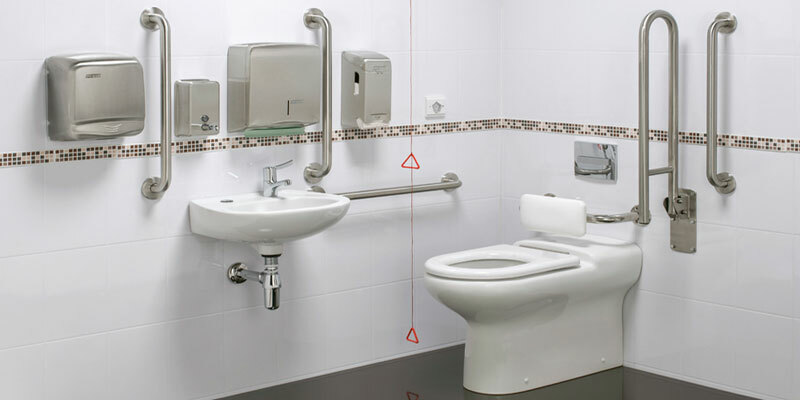 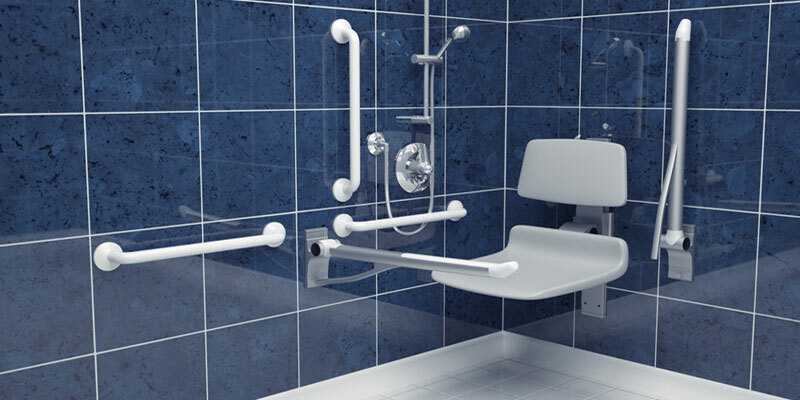 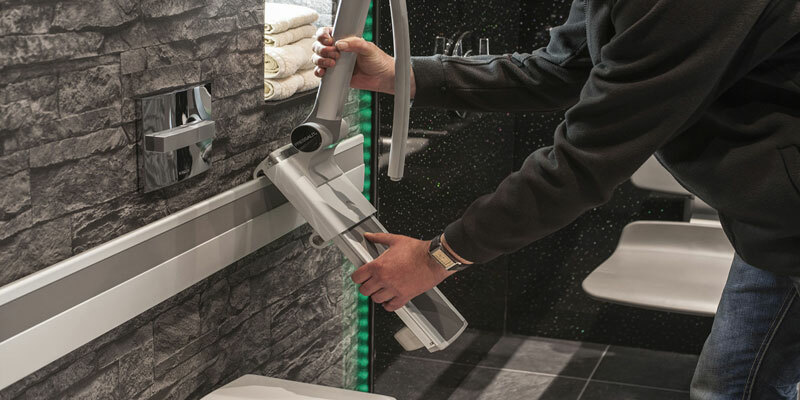 Using the same support arm & 600 grab rails as our Hotel & Hygiene Series and an attractive wheelchair accessible toilet, applications include restaurants, hotels, service stations and offices as well as many more. 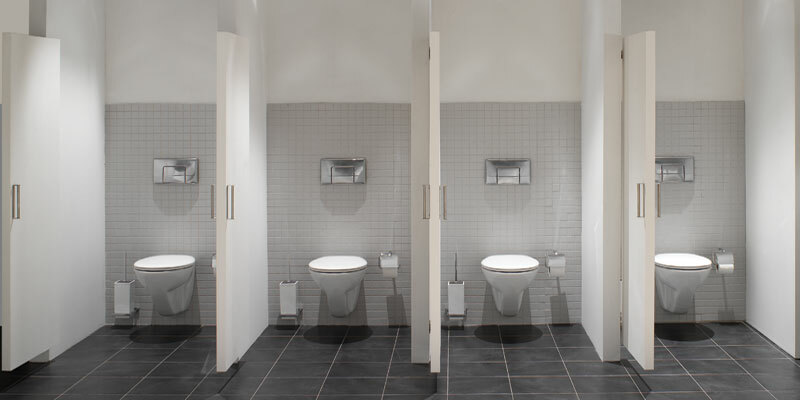 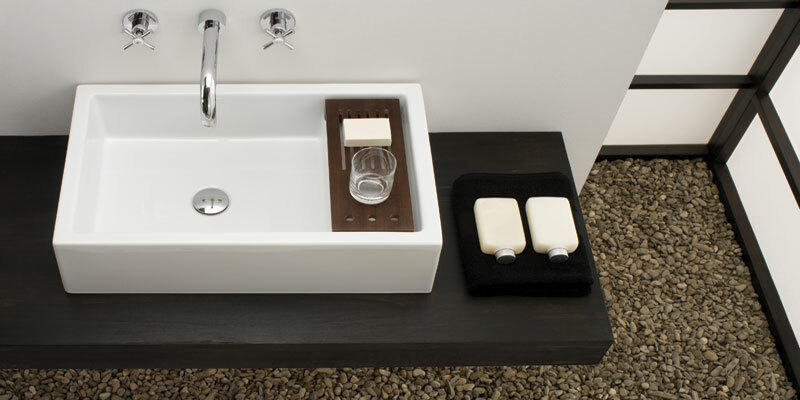 Attractive CE marked European manufactured sanitary ware with raised height 750mm projection close coupled W.C. Basin supplied with 2 tap holes for positioning the tap closest to the W.C. Chrome blanking plug supplied for surplus tap hole. 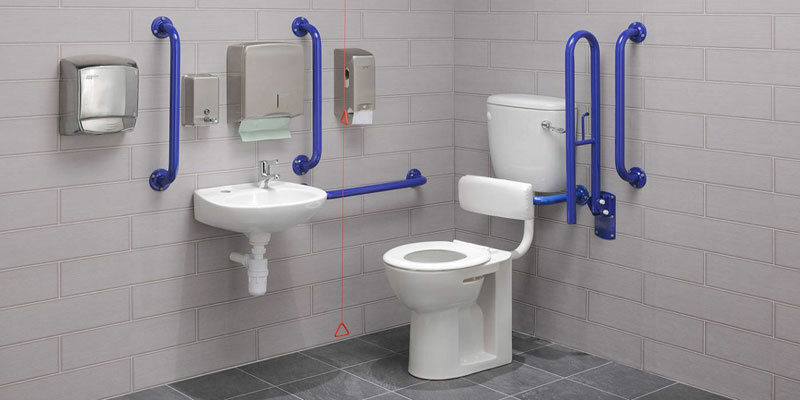 All Zero100 Economy Series DOC M Packs are supplied with 15mm TMV3 blending valves.